Whether you’re insulating a single floor of a new condo in Savannah or an entire shopping mall in Orlando, having the right commercial insulation materials is really important. Your clients are counting on you to construct a building that shields them from the heat and cold of the elements, and you can’t do that with subpar insulation. That’s why Arango Insulation only uses the best products on its commercial jobs, including insulation from Icynene and Owens Corning. And they come in forms to suit every type of job including fiberglass insulation, cellulose, foam spray insulation, house wrap, and blanket insulation. Arango completes most of its commercial insulating jobs in one to three days, which means you’ll never have to hold up your job for a long time while we finish ours. 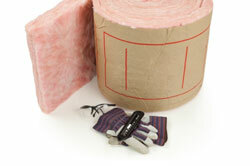 Call or email Arango today for more information on our superior commercial insulation materials and service. We also perform commercial roofing services. We’re happy to serve you in Charlotte, Greenville, New Orleans, and across the Southeast.